Congrats to Leeanna...you won an ARC of THUMPED! Please email us weheartya(at)gmail(dot)com so we can get your postal address. 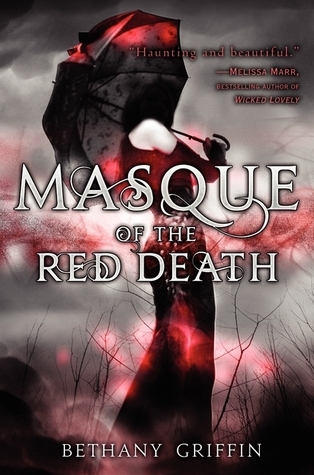 The giveaway for this week is MASQUE OF THE RED DEATH by Bethany Griffin. Sarah recently posed a question on twitter: Writers: Which comes first for you, the chicken (character) or the egg (story)? What about you? Don't forget to comment for a chance to win this week's giveaway!! R.O.F.L. at Alison Cherry's magnet tweet! Character usually comes first for me, maybe because I've created a ton for RP? Good tweet roundup... I like the one from @smoulderingsea on writing. I really love all the writing advice. Thank you for doing this since I'd never be able to catch it all. @novaren and @raecarson just made my day! When the story comes first, I'm more likely to write something. When I get an idea that starts out with just a character I end up feeling directionless when I write so it never gets finished. Which is sad, I have so many characters going unused! Some of these were so funny!!!! I liked the magnet tweet that made me laugh!!! !